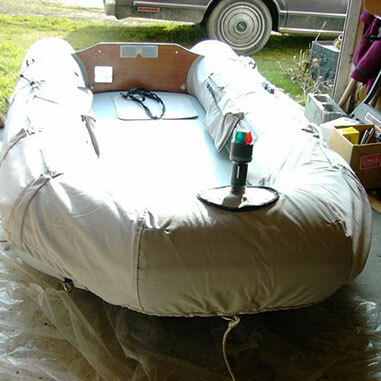 I finally finished the dinghy cover. 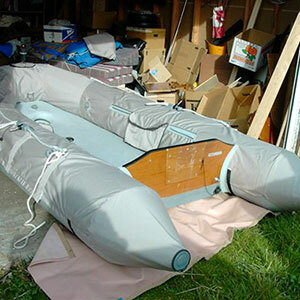 It's on a 10' 6" Achilles with inflatable floor. I made a pattern using a grid & brown paper which worked quite well. The material is a bit wrinkled as seen in the pictures. I had to wait for a clear, warm day to put the cover on. I also made a bag for the cover when it is not in use - looks like a big gray pillow! Since we plan to go cruising & will be out at night, I made a special mount with velcro for the bow light. 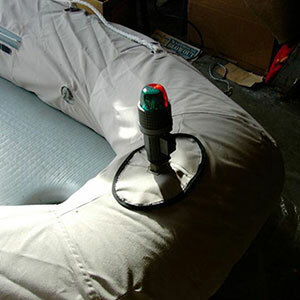 A secondary plain patch covers the velcro sewn onto the cover when the light is not in use. I put two pockets with velcro closing flaps on each side of the cover. These are attached only at the top. 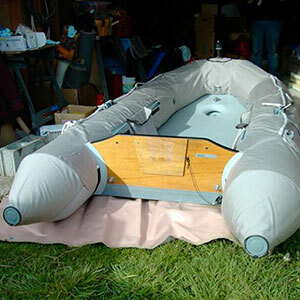 The bow has a channel with a bungee chord that attaches to rings just behind the bow. This keeps the front of the cover in place. Each tube has an aft "bra" that keeps the ends in place. 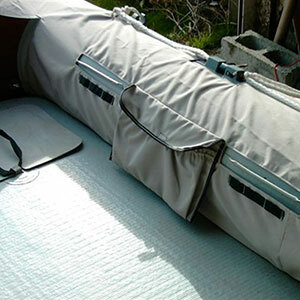 A strap, behind the transom and fastened with velcro, completes the aft hold down scheme. I've also been busy with upholstery & storage pockets-will send more pictures of these later.